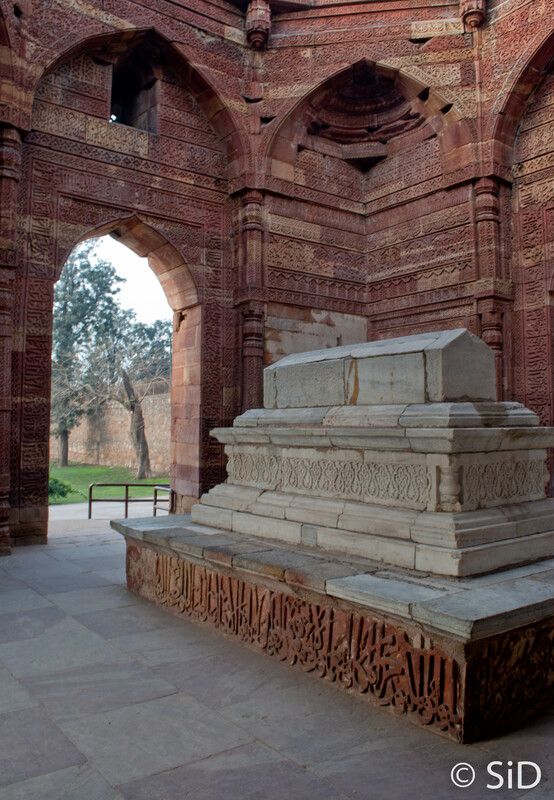 The two tombs within the Qutub complex are a picture in contrast. In a corner lies Alauddin Khilji in a simple brick structure. Even though Iltumish lived and died before Khilji, he commands a more central place and a more beautiful resting place for himself. It may be one of the first tomb in India which uses marble – some 400 years before the marvel in marble, the Taj Mahal. Iltumish was one of the first Islamic rulers of India and is many times credited with founding of Delhi Sultanate in India as he shifted his capital to Delhi. He followed Qutb-ud-din Aibak and was the one to complete the Qutub Minar started by his predecessor. He was the one to build the first Islamic tomb of India – of his son at Sultan Garhi. Due to the death of his son, Iltumish also took a rare decision of nominating his daughter Razia Sultan as his heir. Though not very successful (male ego of her subjects to be blamed!! ), she was one of the exceptions as far as the gender of the rulers of India are concerned.